Now I have only made about 3 or 4 ATCs ever, and while they intrigue me I’ve not really pursued them at all. BUT, one of the term break tasks was tacking DSs room (or getting him to, in the breaks between studying Math and Physics) and one thing that was unearthed was a HUGE number of Pokemon cards (I mean like a 12 x 24 x 12 deep wicker trunk full of them) I couldn’t bear tossing them in the bin, and THOUGHT I had read SOMEWHERE that ATCs were the size of these cards (do please correct me if you know, but I will research it before even considering taking tis any further – I’m impulsive, but not likely to dash off and make 20 ATCs in all the wrong sizes LOL!) While wandering out in the early AM to take a few photos of atmospheric scenes and lighting for another idea I had, it hit me like a bolt that printing vintage images onto tissue paper (sewing pattern) might be cool. So it is now 8:20 AM and the idea has come to fruition. A warning: Know your printer. I know my printer can handle this sort of thing. If yours can’t or you don’t want to risk an expensive replacement, don’t try this! I have an Epson Photo 1400. 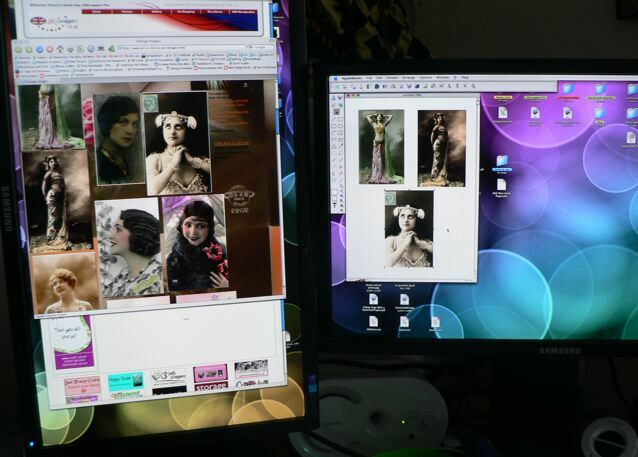 Go to some Vintage Image site – these images are from this site. 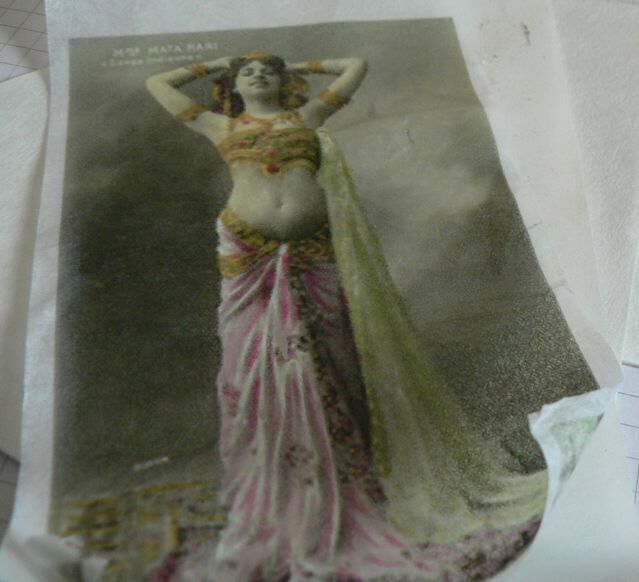 Put the tissue-paper covered freezer paper in your printer and print – I use the Epson Archival Matt setting on mine. Now the tricky part. 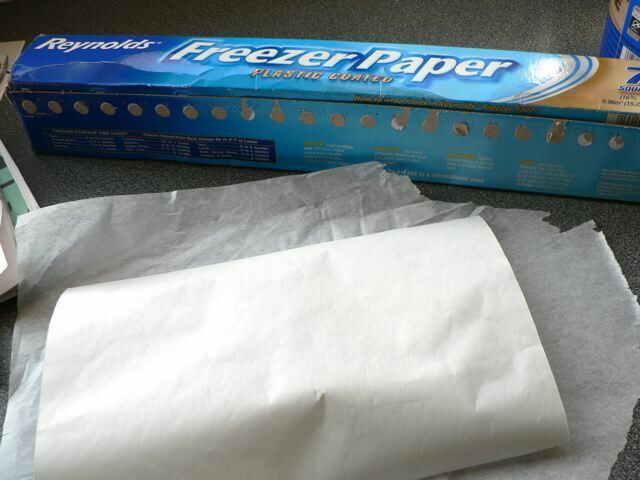 Make sure it is cool then gently, slowly peel the tissue paper off the freezer paper. 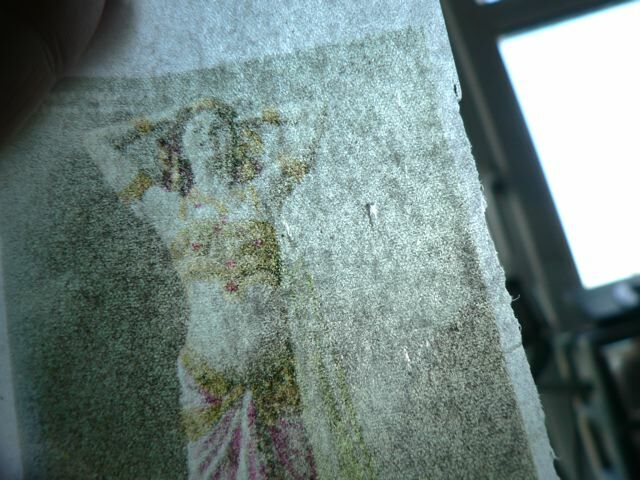 Now you have a nice, sheer image that you can crumple and Mod Podge to anything. Def. 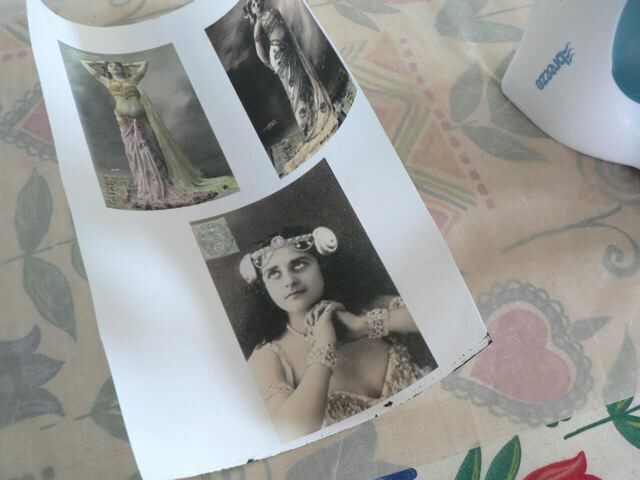 something I will play with further, including printing photos this way. Have fun with it. I’ll be singing along to HSM3 with two teen girls this afternoon so my creativity will have to be put on hold for a bit. Don’tcha HATE that? Categories: art, scrap related | Tags: how-to, technology & scrapping, vintage | Permalink.